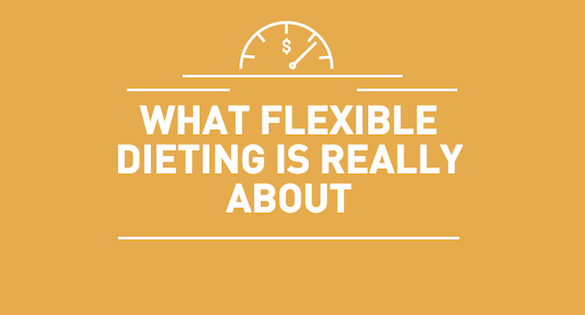 The point of Flexible Dieting/IIFYM is its flexibility (obviously). If you don’t want to eat sweet potatoes, you can switch it out for other foods such as white potatoes, rice, pasta, bread, etc. If you don’t want to eat chicken breast, you can switch it out for egg whites, lean red meats, tilapia, bangus, etc. You don’t have to stick to so-called “clean” foods, eat 6-7 meals a day, consume no carbs after 6pm, and whatnot if that’s not something you would be comfortable doing in the long term. By default, you’ll still be eating a lot of whole foods that are nutrient-dense and filling, while having the freedom to make swaps when the situation calls for it. Don’t feel like eating every 2 hours? Then don’t worry, you can eat 3 bigger meals if that’s what you’d prefer. Going out for dinner with your family? That’s perfectly fine, just make sure you have enough macros saved up for your meal. Hate the texture of camote and saba? No problem—have other forms of carbs. How do you spend your calories? For roughly the same amount of calories, you have two different approaches to meals. With a clean eating meal plan, you will eat pretty much the same things day in and day out, while with flexible dieting, you have the option of switching out certain foods. For example instead of banana, you could have pineapple instead. Instead of potatoes, you can have whole wheat bread instead. If you really want a biscuit or two, you can have it if it still fits. Some people don’t mind the regimented approach of following a clean eating meal plan since it provides structure and reduces the amount of variables to consider, which is helpful especially when trying to diet down to very low body fat percentages. However, for the average person who just wishes to make improvements to their body composition, there’s no reason not to allow for some flexibility.